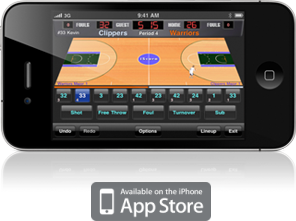 Following the iScore tradition of "score what you see", iScore Basketball allows you to score live basketball games, right on your iPhone or iPad, and immediately produce statistics that every coach, player, and team parent loves to see.Track as much or as little detail of the game as you would like, with the most advanced scorekeeping system on the market. 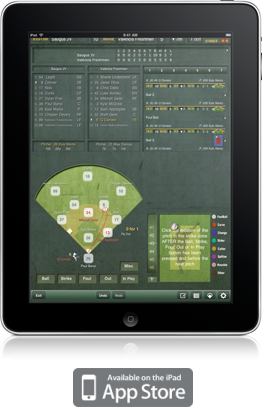 iScore Football Scorekeeper revolutionizes scorekeeping. Track every pass, rush, fumble and interception like never before with the most intuitive football scorekeeping interface ever designed. Score youth football, high school games, college games and even professional games, just like the pros. 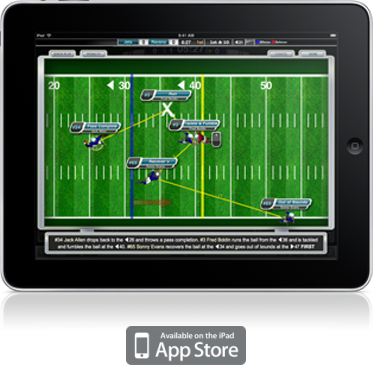 Track over 150 statistics for Offense, Defense and Special Teams. 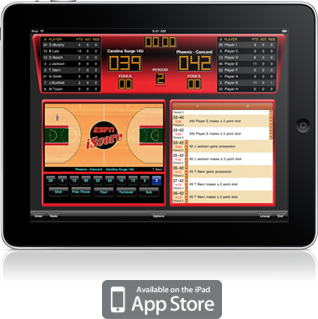 iScore Sports is proud to introduce iScore Soccer Scorekeeper. Track every pass, cross, shot and goal like never before using the intuitive scorekeeping interface that is the hallmark of iScore products. Score youth soccer, high school games, college games and even professional games, just like the pros. Track over 50 statistics for both the Offense and Defense.